God’s mission needs movement leaders. Jesus pioneered something completely new in human history―a dynamic missionary movement intent on reaching the world. His mission is as clear and as relevant today as in the days of the early church: to make disciples everywhere, baptizing them and teaching them to obey everything Jesus has commanded. But the potential of the church remains untapped. What does it take to lead movements that successfully carry out this mission? In Pioneering Movements, Steve Addison identifies what it takes to follow Jesus’ example. 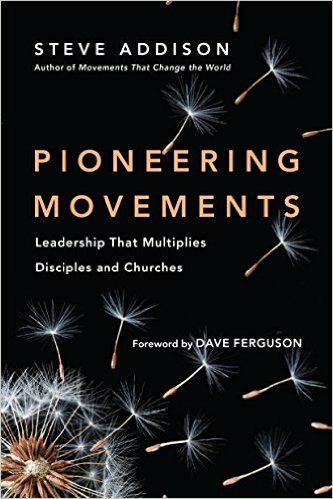 Building on his previous booksMovements That Change the World and What Jesus Started, he reveals the apostolic qualities and behaviors of biblical, historical, and contemporary pioneers who can guide church and ministry leaders today. This is a book for those who are called to embrace the mission-driven work that Jesus and his disciples began―making disciples of all nations, in all places.